In Tuesday’s budget, the government unveiled “a comprehensive plan to address housing affordability”. But how successful is it likely to be? After weeks of speculation around tweaks to negative gearing and the ruling in and then out of a reduction of capital gains tax concessions, the government has hit the snooze button on this political time bomb once again. Yes, Tuesday’s budget included the worthy goal of placing downward pressure on property prices by increasing supply and reducing demand, but when the ink dries on the budget, which policies are likely to actually move the needle? The move to limit foreign investors to no more than half the stock in new high rises is valid, as is the plan to get empty-nesters to downsize, but it’s hard to see these minor policy changes having any sizeable impact on the housing market. Will the government’s carrot of a non-concessional (post-tax) contribution of $300,000 from the sale proceeds be enough to get them to downsize? And will foreign investors mind having to shell out extra thousands to avoid the hassle of renting out their empty apartments? To be fair, only time will tell, but no one is predicting major disruption in the market. Other supply side measures include working with state governments on planning and zoning reform, selling surplus Commonwealth land and addressing infrastructure choke points that are impeding housing development in undersupplied areas. Again, all are valid, but it will be hard to pinpoint any real success in terms of housing affordability on these measures. Regardless of where people sit on the negative gearing divide, everyone is in agreement that it’s never been tougher for young Australians to buy a home. We know from our own RateCity research that many young Australians now need not one, not two but three incomes to buy their first home, which usually includes a serious investment from the bank of mum and dad. The government’s new plan to let first home buyers use pre-tax income to get their foot in the housing market will encourage savings at a time in people’s lives when they have the greatest disposable income. Certainly, the ‘double income no kids’ phase of life is a window of opportunity I regret not capitalising on. Of course, for many first home buyers, this may still seem like scaling Everest, but at least it’s a step in the right direction that’s unlikely to result in a direct hike in property prices. Taken together, these measures should place at least some downward pressure on prices, but with interest rates at historic lows, the effects will be minimal. Australians are likely to keep taking out mortgages, which means demand is likely to remain high. Add in the FOMO factor in Sydney and Melbourne as well, where buyers remain worried that if they don’t do whatever it takes to enter the market now, they might have to pay an extra $100,000 or $200,000 if they wait a year or two. And don’t forget, Armageddon is still coming. When rates do rise, tremendous pressure will be placed on thousands of Australians who have taken out mortgages at the limits of their financial capacity when interest rates are at record lows. The best bullet for housing affordability is getting people to pay down their record-high levels of debt now, when rates are at historic lows. Because it’s hard to say what’s around the corner, except for death, taxes and higher interest rates. Sally manages the RateCity editorial team, producing consumer-focused insights into personal finance and cost of living issues. She is passionate about helping everyday Australians get access to affordable finance options without falling victim to marketing ploys. 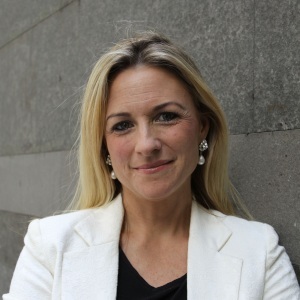 Sally is experienced in finance issues, having worked for the Institute of Chartered Accountants, the Prime Minister of Australia Julia Gillard, NSW Minister for Finance and Accenture Consulting in the United Kingdom. At the federal government, Sally worked on three federal budgets targeted at easing the cost of living, providing greater access to affordable education and providing targeted financial assistance to in-need families. She also participated at multinational finance forums such as the G20 and APEC. She is a regular contributor to news outlets including Fairfax, News Ltd, Money Magazine, Yahoo, Ninemsn, and a regular commentator on television and radio about personal finance matters.